Lagos Nigeria 16-05-17 – Team Beacon from the Afe Babalola University, Ado-Ekiti will be representing Nigeria at the Middle East and Africa regional finals of Imagine Cup holding in Beirut, Lebanon, on the 18th and 19th of May 2017. 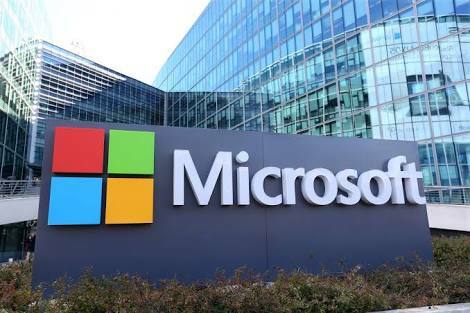 This feat was achieved by the students after emerging as the winner of the 2017 edition of Microsoft Imagine Cup national finals, held recently in Lagos. 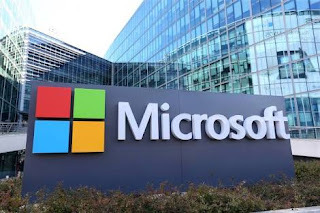 The National finals which took place at Microsoft office saw Team Excel, Team Crimson, Team P.E.C.K, Team Beacon and Team Samaritan pitch their ideas against one another. Imagine Cup is Microsoft’s flagship developer competition that is held every year on a global scale. The competition provides opportunities for students across all disciplines to team up and use their creativity, passion, and knowledge of technology to create applications, games and integrate solutions that can change the way we live, work and play. “There are no more categories in the Imagine Cup competition as it was done in the past. All we have now is just one category for all participants. Also, this year’s competition will include a physical regional final with judges and teams, unlike the past where judges were kept in a secret room,” Nnachi says. The winning team comprising of Kelvin Ahwin, Etinosa Gem Akenuwa and Patrick IK-Esumei appreciated Microsoft for the Imagine Cup platform which will help stir up innovation within the student community in Nigeria. Explaining their solution, the team lead, Kelvin Ahwin, says “Beacon is a cloud-based emergency services tool that helps users get the help they deserve quickly. It bridges the gap between technology and emergency reporting services while implementing a system of partnerships to provide emergency response infrastructure where there is a lacking.” He further reinterated that, “ We envision Beacon as the world’s go-to platform for emergencies. We want to change the world by saving lives, one emergency at a time. By Gods grace, we believe that this dream will become a reality,” he said. Other solutions developed from other teams that participated include; Karme, Crimson, Unmanned Ground Vehicle and Empathie.